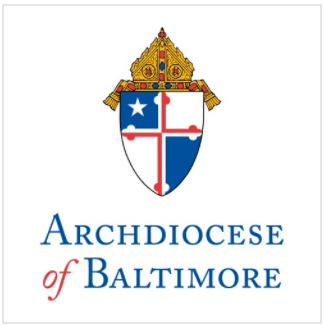 Archbishop Edwin O’Brien, Archbishop of Baltimore, and Cardinal William H. Keeler, Archbishop Emeritus, have announced that later this year the Cardinal will move from the Archbishop’s residence located on N. Charles Street adjacent to the Basilica of the Assumption, and into a Catholic retirement community in Baltimore County. The Cardinal turned 78 in March and served as 14th Archbishop of Baltimore from 1989-2007. Archbishop O’Brien, who has lived the past two years in an apartment in North Baltimore owned by the Sulpicians, a community of Catholic priests that staffs St. Mary’s Seminary in Roland Park, will relocate to the residence which has served as the official home of the Archbishop of Baltimore since it was built in 1829. Believed to be the oldest Archbishop’s residence in the United States, the Greek revival building was constructed with privately-donated funds and also housed the administrative offices of the Archdiocese up until 1965. The Residence also hosted the planning meetings for the Church’s early Provincial Councils, as well as regular meetings of the nation’s archbishops and diplomatic receptions. Noteworthy guests range from President Andrew Johnson and Jefferson Davis in 1866, to Mother Teresa and Pope John Paul II more recently. In addition to serving as the residence of the Archbishop, the building serves as the rectory for and houses the offices of the Basilica Parish.